Home / Articles / 88 Verified Dental Related Scholarships To Pay For College! 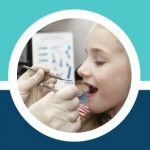 I created this post to help dental students pay for college with dental scholarships, as well as students in general with a great list of mostly easy to apply for money for school! While our site primarily helps people a local 24 hour dentist, we also started this scholarship to give back to students and we’re going to do it every year! Download the scholarship excel sheet here! Here we go with a fantastic list of scholarships, grants and educational awards for dental students, health students and dental educators. I really hope this post helps some of you take care of at least a part of your school expenses! And visit us here if you’re in need of a walk in dentist like most of the visitors to this site! Why not start out with our very own dental scholarship, check it out Emergency Dentists USA Scholarship! We’re giving out $1500 and it’s a FUN video submission scholarship! Eligibility: Dental Only, Financial Need Scholarship, Pre Doctoral, 2nd year or more dental student, SNDA member. Eligibility: Current member of SNDA, gpa of 2.5 or above and a current dental student at an accredited dental school. Eligibility: Dentist Related Only, undergrad or grad school. Award:: 1st 500, 2nd 250, 3rd, 100 and membership to ALD plus trip to the Standard Proficiency Dental Laser Certification Course and accommodations. 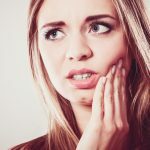 Eligibility: Dental Only- potentially women only but the guidelines can be confusing. Eligibility: Undergrad degree of gpa 3.5 or higher, have verifiable community service, and letter of recommendation from an undergrad professor. The ASDA has a great Infographic on how much Dental School will cost you. A few takeaways from their article are 75% of dental students will finish with over $100,000 in student debt, and the average Dental Student graduates with $241,097 of student loans! Eligibility: This is for a student who has demonstrated academic excellence in dentistry, financial need, and an overall commitment to community service. Must also be nominated by the dean of their dental school. Eligibility: Those who complete a 1-2 page essay on why you can benefit, submit a 2×2 photo, have a GPA above 3.0, and provide an introductory video clip. Eligibility: have completed at least one year of dental school, be a student member of the Academy of LDS Dentists, and be a member in “good standing” of the Church of Jesus Christ of Latter-day Saints. You have must received no previous Academy “annual conference” Scholarship. Eligibility: One must be in the second year of study at the time of application, and be attending accredited dental school. Must be a full time student, and be taking 12 credit hours. Must demonstrate a financial need of $2,500, and have a minimum GPA of 3.25. Must also attend the University of California at Los Angeles School of Dentistry or the Herman Ostrow School of Dentistry of the University of Southern California. The Bad Credit Home Loans Program offers 1000$ you can find more details at their website: homeloansforall.com. Eligibility: For predoctoral dental students enrolled in a CDA accredited program, who are involved in an outreach program to vulnerable communities. 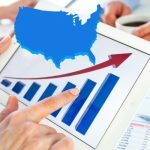 I Spoke with the folks at DentalEconomics.com and they referred me to Dr. Ritchie’s Article Myths On Managing Dental Student Loan Debt. Reference Ryan Ritche, from the Dental Economics Blog. Eligibility: Must currently be enrolled in dental school, and will continue to be enrolled in dental school through the following academic year. Eligibility: A currently registered dental student, with preference given to those that have a connection with the city of Richmond. Eligibility: A dental student who has demonstrated outstanding academic performance and merit, with a 1,000 word essay submission. Eligibility: Any dentist who is entering the discipline of public health through an accredited master’s program. 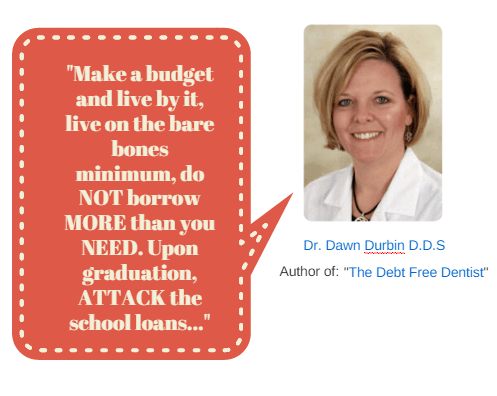 I spoke with Dawn Durbin, a dentist and author of the report “The Debt Free Dentist” She had some advice for current dental students. This is some real life advice from someone who has lived it, I think we should all be taking a hard look at our expenses in life and try to find help financial help wherever we can, and scholarships are just free money, out there waiting to be taken! Eligibility: Students in good academic standing enrolled in an accredited dental school who apply with paper application and video testimonial detailing their career choice. Eligibility: Full time students at an accredited dental school. Eligibility: Anyone planning to study as a dental technician, this scholarship helps pay for your technician exam and any study materials you need. Eligibility: All dental and dental hygiene students who are currently enrolled in an accredited dentistry or dental hygiene program, with good academic standing. Eligibility:To be considered for this scholarship, applicants must submit a 500+ word essay on the following topic:What made you decide to pursue a career in the dental field and how will this scholarship impact your future goals? Paying for college can break you! According to Time Magazine, student debt is up over 1 trillion dollars! This guy did everything right and he’s still going to end up $400,000 in debt when he finished dental school in the state of New York. Eligibility:2nd year of undergrad and above, or grad school: public health, medical, nursing, dentistry. Eligibility: Enrolled in accredited U.S. School, medicine, dentistry, nursing, health care. Award:: Scholarship pays tuition, feeds, other costs plus a stipend, in return for a commitment of at least 2 years at an NHSC approved site. Eligibility: this is for 10 students studying to be dental assistants, and 5 students studying to become laboratory technicians. Eligibility: For high school seniors, college or grad school, with enrollment verified by 1Dental.com. Eligibility: Medical and Dental students who have completed one year of accredited school; priority is given to those working on their Master’s or Doctorate degrees. Eligibility: This is for high school seniors, college or graduate school, and are U.S. residents. Eligibility: All students / majors, need and merit based. Eligibility: those between ages of 16-28, Canada or U.S. residents, attending college or univerisity in the coming fall with essay completion. Eligibility: High school seniors and higher education students who have been accepted into a college, university, or trade school. Eligibility: Must be enrolled in a Cobb County high school, with no discipline incidents, and a graduating senior en route to a public or private college, university, technical college, degree/certificate program. Award:: 2 men and 2 women receive $500 each. Eligibility: U.S. citizens with part time or full time enrollment in an accredited university or tertiary school in the United States. Eligibility: Any Undergrad or Graduate student who is planning to attend college in the fall with a strong interest in the health care industry. Eligibility: Those currently enrolled in or actively applying to a college or graduate/professional program. Eligibility: All rising freshmen with a cumulative GPA of 2.7 or higher, planning to attend an accredited university for the coming year, and must be a U.S. resident. Eligibility: All Majors, college student. Offered by a dentist you’re likely to at least have some advantage here if you’re a dental student. Eligibility: 1000 word essay response needed, must be U.S. citizens and attending an accredited tertiary school or research institution. Eligibility: Open to any students of any degree seeking category, must be a U.S. Citizen, no minimum GPA requirement, and must be a full time student. This post isn’t a “how to article” on winning these scholarships“, for that I turn to professional money maker Ramit Sethi and his post on how he won over $100,000 in scholarships to pay for his schooling. We put the work in to compile the list, he put the work in to motivate you, now it’s your turn to put the work in to apply for all this free money! Remember our site is here to help you find a dentist open on Saturday or Sunday, as well as weeknights, after hours! Eligibility: Applicants must provide a valid passport, and be available for the full term of the sponsored health project. Maintain a 3.0 GPA and have two letters of recommendation. Award:: Expenses paid for a lengthy mission trip to Guatemala. Eligibility: For U.S. based organizations exempt from taxation from the I.R.S. Eligibility: for part or full time students in a course of study in dental hygiene, education, or public health; must be an ADEA Individual Member, be in good academic standing. Eligibility:Must be enrolled at a U.S. dental school as a full-time student at the time of submission, have a superior academic record, be nominated by the dean, be and ADEA Individual Member. Eligibility: Must be enrolled in a predoctoral program at an ADEA member institution, demonstrate interest in advanced education, be an ADEA individual member. Award:: 2 dental students receive $5500 each. Eligibility: For a full time predoctoral, allied, or advanced dental student, resident or fellow whose institution is willing to work with the student to set aside six weeks of time. Award:: This is a six-week stipend-supported internship in the advocacy and Governmental Relations portfolio of the ADEA Policy Center in Washington, D.C. Eligibility: Individuals must participate in the program’s entirety, complete a post program report within 90 days of program completion, describing the impact of the scholarship on their development. Also, be nominated by the dean of his or her dental school or program director of their allied program. Eligibility: Must participate in the program’s entirety, and complete a post program report within 90 days of program completion, describing the impact of the scholarship of their own professional development. Also being an ADEA individual member. Eligibility: Applicant must participate in the program’s entirety, and complete a post program report within 90 days of program completion describing the impact of the scholarship on his or her own personal development. Eligibility: All applicants must complete a post program report withing 90 days of program completion describing the impact of the scholarship on his or her own professional development. Applicants may be asked to provide a video testimonial regarding the professional development the award has stoked. Be nominated by the dean of his or her dental school or program director. Eligibility: Must have at least five years of experience as a dental educator, or be a full time educator or administrator at an ADEA Member Institution. Eligibility: Applicants must be a full time faculty member or administrator at an ADEA Member institution, and submit the ADEA Awards, Scholarship, and Fellowships Application form. Must have a letter of recommendation from the applicant’s dean or chief officer endorsing the candidate and specifying the institution’s commitment to pay the candidate’s salary. Award:: The fellow receives a taxable stipend of $15,000 to cover travel and expenses for three months in Washington D.C., and can apply on a year round basis. Eligibility: Applicants are to be initially identified and recognized within individual institutions or programs of dental education. The final selection will be made by a national committee comprised of representatives from ADEA COSRF, and the ADEA Council of Faculties. These applicants must have no more than five years of experience in academia. Eligibility: Applicants must have five years of experience as an allied dental faculty member, and demonstrate strong leadership qualities and interest in allied dental education, administration, or higher education administration. Be an ADEA Individual Member. Eligibility: Applicants must participate in the program’s entirety, complete a post program report within 90 days, and be a full or part time educator or administrator at an ADEA member institution. Award:: $15,000 and a cumulative two to three month fellowship at ADEA office in Washington D.C. While on site, the scholar gains a distinct perspective on issues facing women including promotion, advancement, child care issues, and time management. Eligibility: The team to recognize the perfect candidate consists of an ADEA Council of Faculties Representative, the dean of the institution, a peer teaching professional, or the appropriate student representative. Eligibility: For members or descendants of federally recognized, state recognized, or terminated tribes and villages. Must be enrolled in preparatory or undergraduate prerequisite courses in preparation for entry to a health professions school. Award:: This program provides financial aid covering tuition, required fees, educational and living expenses for all recipients. Eligibility: All students who are seeking consideration under the Deferred Action for Childhood Arrival policy; one simply needs to possess an employment authorization document at time of application. Eligibility: Applicant must currently be in first, second, or third year of medical or dental school in the U.S.A. when applying; Students that have just been accepted into medical school or dental school at the time of application are not eligible. Award:: Ranges from $2500 to $5000 per annum. Eligibility: Open to student members of the Hispanic Dental Association who have been accepted into an accredited Masters or above program in a Dentistry Related Field. Students must have an undergraduate or graduate degree in oral health related field from the U.S. or abroad. Must show commitment and dedication to serve the Hispanic community. Eligibility: Must be of Hispanic Heritage, with a minimum 2.5 GPA, with a plan to enroll full time in an accredited not for profit 4 year university or graduate school the next fall. Must also complete Dream Act financial pack for respective state. Eligibility: Must be a minority student pursuing full time studies leading to a bachelor’s degree at an accredited college or university in U.S., and have a GP of at least 3.25. These are for Business or Engineering majors. Eligibility: Any student enrolled full time in dental, medical, nursing, public health, or health policy. Complete a personal statement that explains what sets the applicant apart from other students. Award:: 11 scholars receive an award for a 2 year scholarship at $5,000, 6 scholars will receive a 1 year scholarship for $2,000. Eligibility: For an individual of Hellenic descent based upon academic performance and need, that is within the next year attending an accredited medical or dental institution. Eligibility: Applicant must be an ADEA individual member, and full time faculty member of an ADEA Member Institution. Must also demonstrate recognizable leadership potential, and be accepted into the ADEA Leadership Institute. Eligibility: Applicant must be an endodontic educator, and demonstrate strong leadership qualities, and demonstrate interest and work in equity and diversity issues in the profession. Eligibility: Applicant must demonstrate strong leadership qualities, Interest in work and equity and diversity issues in the profession, and be an ADEA individual member. Applicants are strongly encouraged to also hold active membership in the National Dental Association. Eligibility: Applicant must be an ADEA Individual Member, be a full-time faculty member of an ADEA Member Institution, demonstrate recognizable leadership potential, and be accepted into the ADEA Leadership Institute. Eligibility: Any dentist who is a victim of a disaster may apply to the ADA Foundation for a grant. Eligibility:Any U.S.-based dental-related organization exempt from tax under section 501(c)(3) of the Internal Revenue Code that provides emergency dental services within the U.S. 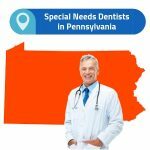 Eligibility:Dentists, their dependents, and former dependents of deceased dentists are eligible to apply for financial aid from the ADA Foundation if an accidental injury, advanced age, physically debilitating illness, or medically-related condition prevents them from gainful employment. Eligibility: Those in the armed forces, thinking about dentistry for the future and need to fill out a table presenter application. Award:: 33 scholarships available for an expense paid trip to Atlanta, breakfast and meal tickets, publicized presentation at two tables during the Thomas P. Hinman Dental Meeting. Award:: As you attend school you will receive a monthly stipend of more than $2000. During breaks, you’ll receive officer’s pay while you train as part of a health care team. After you graduate, you will enter active duty in your professed specialty, and advance to captain. Eventually, you receive a monthly tax free allowance for food and housing. I spent a lot of time compiling this list and hope that it will serve you well in your attempt to find money for school. I’m sure this isn’t every single dental scholarship out there, but I think with proper organization you can apply to and win these scholarship in an efficient manner. Just use the excel sheet I provided for your to download and check off each scholarship as you apply! Please share this with as many people as you can if you think they will find it useful!